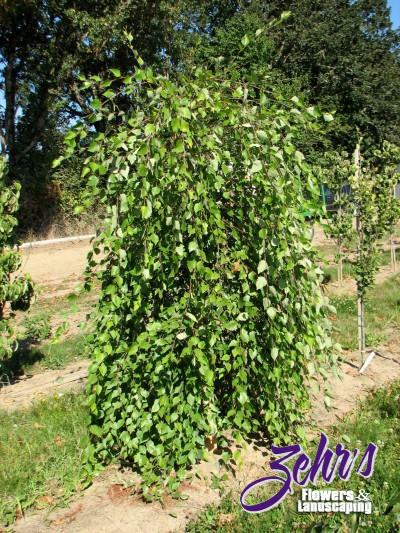 This exciting new weeping form of river birch will make a dramatic specimen tree or focal point especially near water features. The tree may be left untrained to form a mounded shrub or staked to promote a central leader with pendulous branches. Adaptable to a wide range of growing conditions including high temperatures and wet soils. Discovered by John and Daniel Allen at Shiloh Nursery in North Carolina.